A great opportunity to remodel this first floor maisonette into a substantially larger property ( estimated at 1250 sq ft ). It is offered with share of freehold and new lease. 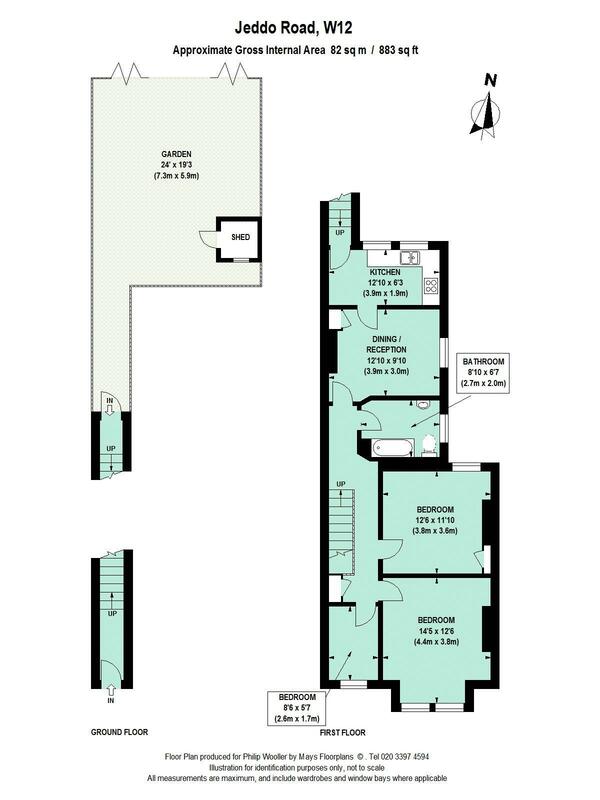 The demised loft spaces could be developed subject to the usual consents - along with potential pod addition, all typically seen with property of this type. There is also a good sized full width garden at the back, with useful access via a secure gated alley way. Situated at the eastern end of Jeddo Road, the flat is conveniently close to Askew Road and a few minutes walk from Wendell Park and the local primary schools. Also the shopping and transport hubs of Hammersmith and Westfield are within easy reach; the 607 bus route east along Uxbridge Road provides the fastest access to the Central Line tube. Stamford Brook or Turnham Green Terrace tubes are an approximate 10 to 15 minute walk. 883 sq ft / 82 sq m approx.